Material: Copper flash coated size 10 wire mesh with galvanized binding. Please note: This is not a stock part. 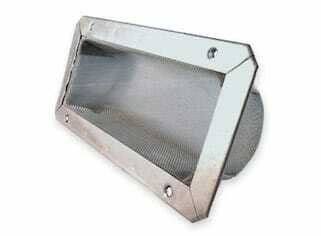 We custom manufacture all of our metal filters and strainers to fit the needs of our clients. If you are interested in a part similar to this, or would like to tell us about your specific filter or strainer needs, contact us at 1-877-263-3520 or submit your design.